sms and google voting will decide the winners of the show, bigg boss grand finale ready to air on asianet and asianet hd channel. their will be special skits, musical performance etc on the grand finale day on asianet. 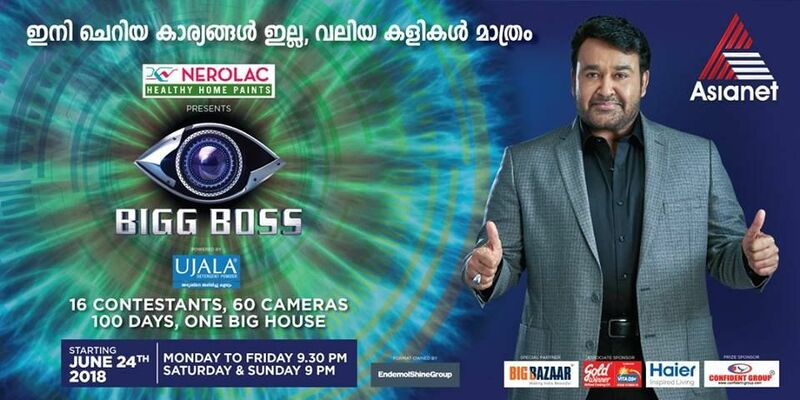 mohanlal is the host and this show did good trp ratings for the channel. there are only 5 people remaining in the house now, finale of the show is not live. still you have chances for voting to help favorite contestant of the show. as mentioned above sms and google voting are the official medium for bigg boss voting online. 1, Aristo Suresh -You can support him by voting, search on google ” bigg boss malayalam voting ‘ and click on Aristo suresh profile, you can vote upto 50 per day. this can be done through web or mobile browser via desktop or mobile devices. you can split your total 50 votes into many, means users can support more than 1 contest. for more details please check the post ” online voting of bigg boss malayalam “. 2, Pearle Maaney – she is one of the popular housemate of the show, still you have chances to support Pearle by google voting. 3, Sabumon Abdusamad – He is the most popular contestant of the show, he is getting lot of support from all over. everybody waiting for the final results, you can support voting sabumon via google bigg boss voting. 4, Srinish Aravind – Television anchor sreenish is the another entered to the finals. support sreenish by voting via sms or google voting system. 5, Shiyas Kareem – he reached the bigg boss house via wildcard entry, reached the finals and popular for his performance. Confident group giving 1 crore prize money to the winners of malayalam bigg boss, we need to wait few more days for the results. pashanam shaji, noby, manoj guinness , thesni khan, devi chandana are the special guests for finals.